One little known fact is that carpets, rugs and upholstery act as air filters in the home, trapping allergens and bacteria that would otherwise circulate more freely. These soft furnishings are our healthy allies – sort of unsung heroes – in our home. Periodic deep cleanings are also recommended, which can get down to the base of the carpet where much of the dirt, allergens and bacteria settle. Seek the services of a qualified professional carpet cleaning company 2-3 times per year. Educate yourself on the options. Some services like traditional steam cleaners use not only soapy water but high pressure, which can soak through to the base of the carpet backing and create a breeding ground for mold, mildew and bacteria. 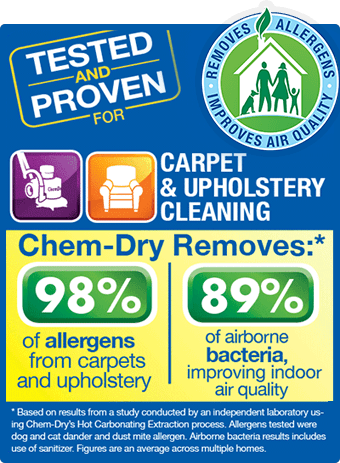 With typical steam cleaning, your carpets often stay wet for 2 or more days, which is also a nuisance for the family. 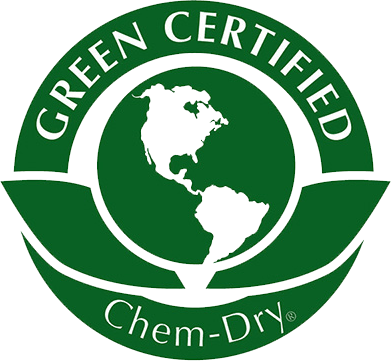 Our cleaning services use green certified solutions without any soaps or detergents and use far less water, so carpets dry faster – within a couple of hours rather than a couple of days.